represents District 2, which includes the Presidio, Marina, Cow Hollow, Pacific Heights, Presidio Heights, Anza Vista, Laurel Heights, Jordan Park, the Lake Street corridor, Sea Cliff and parts of Russian Hill. Supervisor Farrell currently serves as: Chair of the Land Use and Transportation Committee, as a Member of the Transportation Authority, as a Member of the State Legislation Committee, and on the Department of Emergency Management Disaster Council. Supervisor Farrell is a born and raised San Franciscan, and grew up in the neighborhoods of District 2. He attended both Stuart Hall and Saint Ignatius, and subsequently received his B.A. from Loyola Marymount University in Los Angeles, his M.A. from University College Dublin in Ireland, and J.D. from the University of Pennsylvania Law School in Philadelphia. Prior to being elected to the Board of Supervisors, Supervisor Farrell practiced law as a corporate and securities attorney at Wilson Sonsini Goodrich & Rosati in Silicon Valley for 3 years, joined Thomas Weisel Partners as an investment banker where he was an integral part of the Internet & Digital Media team for over 5 years, and subsequently co-founded Thayer Ventures, a San Francisco-based venture capital firm focused on the hospitality and travel sector. 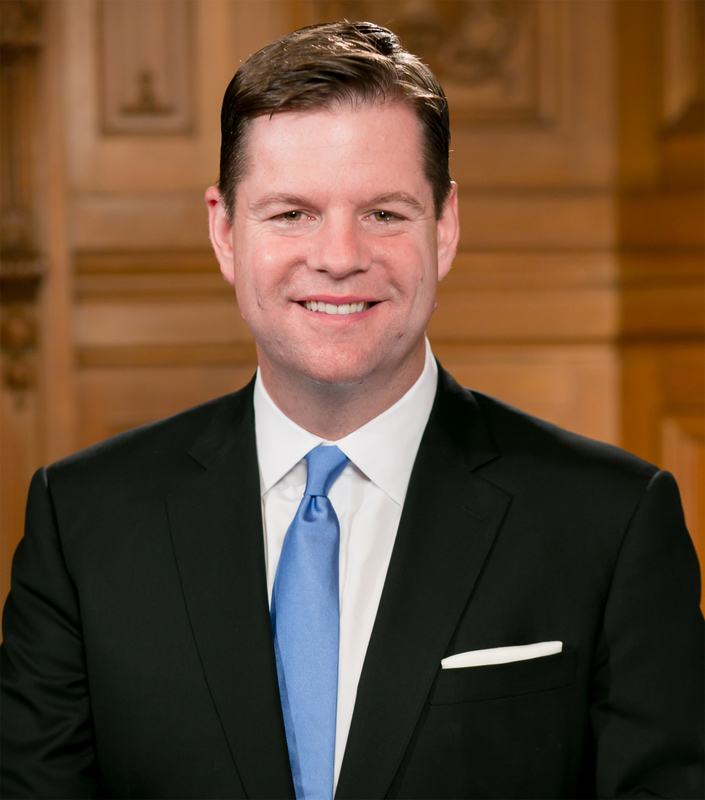 Supervisor Farrell’s legislative priorities include advancing policies and projects that address housing affordability and the cost of living, homelessness, boost local economic development, ensure neighborhood vitality, and enhance public safety and quality of life issues that affect all San Franciscans. Supervisor Farrell currently resides in the Jordan Park neighborhood with his wife and three children.